I'm Shirley Griffith. And I'm Steve Ember with PEOPLE IN AMERICA in VOA Special English. Today, we tell the story of a man called "Buffalo Bill." His real name was William F. Cody. He created "Wild West" shows that people around the world enjoyed for more than thirty years. William Frederick Cody was born in eighteen-forty-six in the state of Iowa. He died in Colorado in nineteen-seventeen. Researchers disagree about other incidents in his life. That is because some stories about "Buffalo Bill" are a combination of factual events and make-believe. However, there is general agreement about the influence of "Buffalo Bill" Cody. People say he represented the spirit and tradition of the American West. William F. Cody grew up in the center of the United States. William's family moved from Iowa to the territory of Kansas when he was still a child. His father died in eighteen-fifty-seven. A short time later, William started working at different jobs to help his family. He worked as a driver for a team of oxen. He guided the powerful animals as they moved goods from place to place. He also carried messages for a local company. Later, William joined a group of men seeking gold in the mountains of Colorado. They were not very successful. Then he got a job as a Pony Express rider. The Pony Express used teams of men and horses to transport mail across the country. William was a skilled rider. Once he rode five-hundred-fifteen kilometers in a single trip. This was one of the longest rides for the Pony Express. At the time, he was just fifteen years old. Kansas became a state in eighteen-sixty-one. A few weeks later, the Civil War between the states started. Southern states fought to protect the rights of individual states. Northern states fought to keep the country united. During the war, Kansas joined with the North and provided men for the Union army. William was too young to fight when the Civil War started. At first, he served the Union forces as a scout, or explorer. In eighteen-sixty-four, he joined the United States Army. Cody became a member of the Seventh Kansas Cavalry. His force was sent to nearby southern states during the Civil War. Cody drove a team of horses. He remained there until the war ended. After the war, William Cody married Louisa Frederici in Saint Louis, Missouri. They were married for more than fifty years and had four children. When they were first married, Cody had many different jobs. For example, he operated a hotel in Kansas. Then he began hunting buffalo for work crews building the Kansas Pacific Railroad. The workers used the wild animals for meat. Cody got the name "Buffalo Bill" by winning a buffalo hunting competition. Reports say he shot and killed more than four-thousand buffalo in just eighteen months. Cody re-joined the Army in eighteen-sixty-eight. He served as a civilian scout for military forces fighting Indians in the West. His experience and skills made him an able fighter and guide for the Army. Cody helped the Fifth Cavalry defeat a group of Cheyenne warriors. He also served as a guide for individuals who wanted to hunt buffalo. Some hunters came from big cities in the eastern United States and from other countries. Once he guided a member of Russia's ruling family, the Grand Duke Alexis, on a hunting trip. American newspapers reported on their activities. Cody's exciting life provided the details for many stories. A number of writers began producing stories about famous people of the western United States. These stories became known as dime novels. Dime novels helped make heroes of people like Davy Crockett and Kit Carson. A writer named Ned Buntline decided to write a book about Buffalo Bill. Buntline's book and newspaper reports helped make Cody famous. The book became popular and was later made into a play called "Scouts of the Prairie." Buffalo Bill even appeared in the show. Critics said Cody was a bad actor, but the show was very successful. The play led Cody to form his own traveling show. The group included another hero of the American West, Wild Bill Hickok. During this period, Cody often returned to the West to find other work. He assisted the Army in its operations against Indian tribes. In eighteen-seventy-six, Indian warriors defeated General George Custer and his forces in the Battle of Little Big Horn in Montana. A few weeks later, Cody and other soldiers clashed with a group of Cheyenne Indians. During the fighting, Cody reportedly killed a Cheyenne warrior named Yellow Hair. This event added yet another incident to Buffalo Bill's collection of stories. Cody liked the idea of being a showman and telling people about the American West. In eighteen-seventy-nine, he wrote his own life story and began publishing his own dime novels. He also continued to produce plays. Cody organized his first Wild West show in eighteen-eighty-two in the state of Nebraska. The show was performed outside. 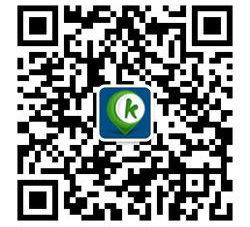 It was designed to entertain and educate crowds of people. There were cowboys, Indians, buffalo and other kinds of animals. People were not sure exactly what the show was, but they liked it. The following year, Cody and his business partners formed a traveling show called "Buffalo Bill's Wild West." It brought cowboys and Indians to people in parts of the United States who might never have seen them. The show was a major success for the next thirty years. People liked it for many reasons. One was a desire to return to earlier, simpler times. The American West of the dime novels was fast disappearing. The area was starting to develop. "Buffalo Bill's Wild West" show included cowboys hunting buffalo. It had riders for the Pony Express. It re-created an Indian attack on a carriage transporting goods. The show also re-created the attack against General Custer and his forces. It included Indians who were involved in the real attack. It also included the famous Sioux chief Sitting Bull, who had killed General Custer. Sitting Bull traveled with Buffalo Bill's Wild West show for several months. In later years, a cowgirl named Annie Oakley performed with the show. She was one of the best gun shooters in the country. Annie Oakley could ride a horse standing up while shooting at a target. She could shoot a piece of money out of someone's hand. Once, she became famous for shooting a cigarette held in the mouth of German Crown Prince Wilhelm. "Buffalo Bill's Wild West" performed in cities and towns across the United States and in Europe. In eighteen-eighty-seven, the show performed in England in honor of Queen Victoria's fiftieth anniversary in power. Six years later, the show was popular at the World's Fair in Chicago, Illinois. Buffalo Bill Cody was said to be the most famous American in the world by the beginning of the twentieth century. American presidents met with him to discuss issues important to the West. He had many modern ideas. For example, he supported fair treatment for American Indians. And he supported equal pay and equal voting rights for women. He was also a businessman who looked toward the future. He invested in projects that he hoped would bring economic growth to the West. Cody made a lot of money from his show business success. However, he lost his wealth because of bad investments and failure to watch how the money was used. In nineteen-oh-eight, "Buffalo Bill's Wild West" combined with another traveling show. But this show failed. A short time later, Cody got a loan from a Colorado company to keep his show operating. But his financial situation got worse over the next few years. 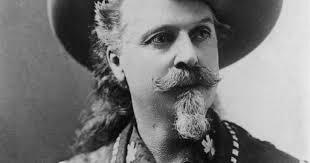 Buffalo Bill Cody died in nineteen-seventeen while visiting his sister in Denver, Colorado. He was buried near the city, at the top of Lookout Mountain. His funeral was a major event. Twenty-thousand people traveled there to attend the ceremony. Today, thousands of people visit Lookout Mountain every year. They see Cody's burial place and a museum built in his honor. And, they hear stories about people who experienced the excitement of Buffalo Bill's Wild West show.